Duff & Phelps is a premier independent advisor with expertise in the areas of valuation, corporate finance, disputes and investigations, compliance and regulatory matters, and other governance-related issues. Our clients include publicly traded and privately held companies, law firms, government entities and investment organizations such as private equity firms and hedge funds. 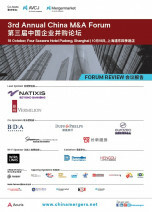 We also advise the world’s leading standard setting bodies on valuation issues and best practices. Duff & Phelps’ nearly 3,500 professionals are located in over 70 offices in 28 countries around the world. 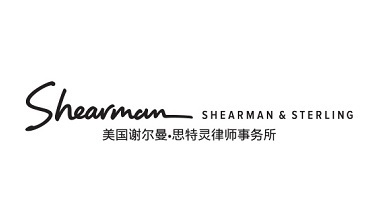 Shearman & Sterling LLP is a leading global law firm with approximately 900 lawyers in financial and business centers throughout Asia, the Americas, Europe and the Middle East. Fluent in more than 60 languages, our lawyers have acted in many of the region’s most complex, high-profile and first-to-market transactions with local law capabilities in major international markets, practicing Hong Kong, U.S., English, French, German, Italian, EU, OHADA and Saudi law, as well as Dubai International Financial Centre law and Abu Dhabi Global Market law. We are ranked top 10 on The American Lawyer 2018’s A-List, which honors the 20 top law firms in the United States. In addition, we are consistently ranked as a top-tier law firm in Asia, North and Latin Americas, Europe and the Middle East by leading global independent directories, including Chambers, IFLR1000, Legal 500, AmLaw 100 and Euromoney, among others. We are among the first global law firms to receive approval from the PRC government to establish an office in China (in Beijing since 1993), with dedicated teams based in Beijing, Shanghai and Hong Kong. With a longstanding commitment to China, we have advised on opportunities and challenges offered by China’s rapid growth for 40 years. The China offices have extensive knowledge and industry experience in virtually every sector, including healthcare, technology, media and telecommunications, automotive, energy and natural resources, infrastructure, government and state-owned companies. We are widely recognized as a leading law firm for Corporate/M&A, Capital Markets, Dispute Resolution, Investment Funds and Project Finance. 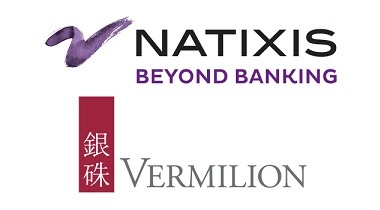 Taishin Securities (TSS), a subsidiary of Taishin Financial Holdings (TSFHC), is one of the leading investment banks in Taiwan and has been awarded the best security firm for IPO services by Taiwan Stock Exchange and Taipei Exchange. The core business of TSS includes brokerage, proprietary trading, underwriting, as well as financial advisory services. In addition, by leveraging the resources from TSFHC and over a hundred branches from Taishin International Bank, TSS aims to provide every client with comprehensive and diversified financial services. Most importantly, TSS’s well-established relationship among institutional investors, mass media, and regulators combined with TSS’s financial expertise has been helping corporate clients increase their brand awareness and further boost their market value.